The UIDAI or Unique Identification Authority of India, the issuer of Aadhaar card as well as the 12-digit Unique Identity Number (UID) also known as Aadhaar number, offers three kinds of facilities online. These online tools – accessible through the UIDAI’s self-service portal uidai.gov.in – facilitate tasks related to Aadhaar enrolment, Aadhaar update and other services. Registered mobile number – or the mobile number registered into the Aadhaar database – is essential to avail Aadhaar online services, according to the UIDAI website. 1. The UIDAI portal lets users to find information on Aadhaar enrolment and updation centres through an online search. The user can locate various bank or post office Aadhaar centres – for enrolment or updation in Aadhaar – by entering details such as state, district and pin code. 2. Another online service provided by the UIDAI enables Aadhaar applicants to check the status of their application. A user can access this online tool, and several other Aadhaar card-related online tools, by clicking on ‘Check Aadhaar Status’ on the UIDAI portal homepage, or through a link. The online facility requires the user to enter his or her Aadhaar enrolment ID as well as the timestamp as given on the Aadhaar acknowledgement slip in the format ‘dd/mm/yyyy hh:mm:ss’, according to the UIDAI website. The 14-digit Aadhaar enrolment number can be located at the top section of the acknowledgement slip. The Aadhaar enrolment ID is given in the format 1234/12345/12345, according to the UIDAI website. 3. Users can also retrieve their lost Aadhaar number (UID) or a lost Aadhaar enrolment ID through the UIDAI.gov.in portal. To be able to use this online service, the user is required to enter his or her registered mobile number, according to the UIDAI website. This is the number declared by an individual at the time of Aadhaar enrolment. 4. The UIDAI website also hosts a facility that allows individuals to download their Aadhaar card in digital form. The digital Aadhaar, or ‘e-Aadhaar’, can be downloaded either by entering the Aadhaar ID or the Aadhaar enrolment ID, according to the UIDAI website. 5. Users can also get their Aadhaar number, or Unique Identity Number (UID), on their mobile number through the UIDAI portal. 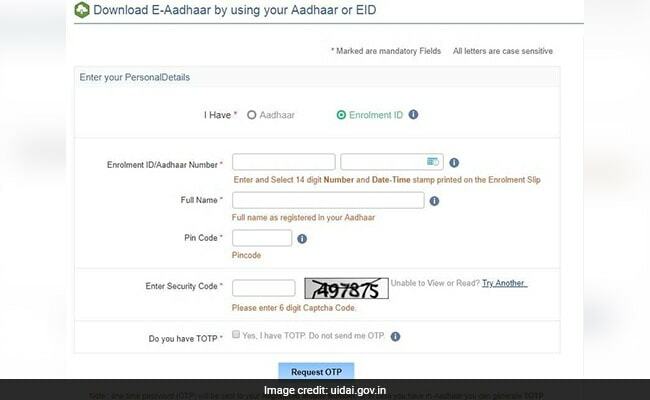 The user is required to enter the Aadhaar enrolment ID (EID) as well as the registered mobile number to use this UIDAI facility, which can be accessed by clicking on ‘Get Aadhaar on Mobile Number’ on the UIDAI portal. 6. The UIDAI portal also enables individuals to request an update or correction in the address given on their Aadhaar card. This facility is meant for Aadhaar holders, those who have already enrolled for Aadhaar. The UIDAI portal’s online facility – which can be accessed by clicking on ‘Address Update Request (Online)’ on the UIDAI portal – lets users to request a change or updation in the address in four steps: Login with Aadhaar, Address Update Request, Upload Documents, and Select BPO Service Provider/submit request. 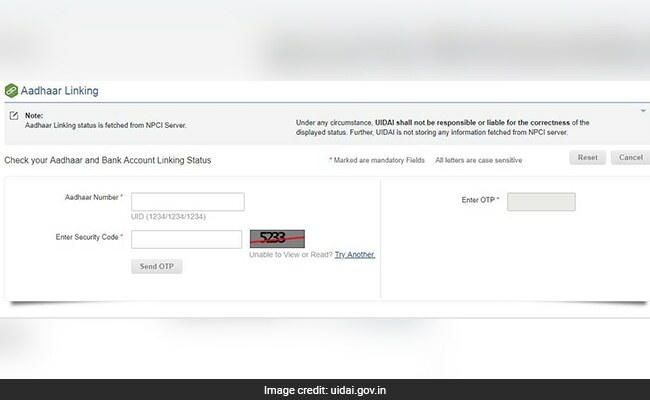 Any resident with a registered mobile number can update the address – fed into the Aadhaar system – using this portal, according to the UIDIA website. 7. If you have request such an update in address online, another online facility by the UIDAI lets you check the status of your request. This tool can be accessed by clicking on the ‘Check Status – Updation done Online’ link on the UIDAI website. The user is required to enter his or her Aadhaar number along with the URN/SRN to check the status, according to the UIDAI portal. 8. The UIDAI portal also lets a user verify his or her Aadhaar number. A user can enter his or her Aadhaar number in the relevant box to verify whether the Aadhaar number is valid or active. 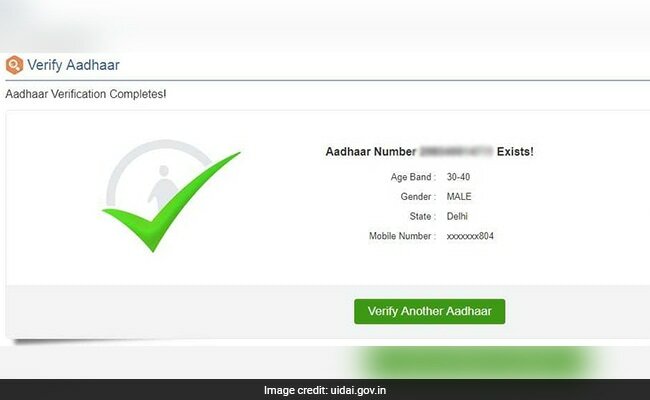 At the end of Aadhaar verification process, the UIDAI facility confirms whether the Aadhaar number exists and displays details such as the age group of the Aadhaar applicant and the last three digits of the registered mobile number. A user can tally these details to confirm the Aadhaar number. 9. Another tool, called ‘Verify Email/Mobile Number’, lets users verify the latest email address and mobile number fed into the Aadhaar system. These are the details declared during Aadhaar enrolment or updated later, whichever is later, according to the UIDAI website. 10. The user can also lock or unlock his or her biometrics – fed into the Aadhaar system through iris and fingerprint scans – using an online tool given on the UIDAI website. The user is required to log in using his or her Aadhaar to access the biometric lock system, according to the UIDAI website. The system can be used to enable an Aadhaar holder to lock and temporarily unlock his or her biometrics. This is to protect privacy and confidentiality of the resident’s biometrics data, the UIDAI adds on its portal. Once the biometrics are locked, the Aadhaar holder will not be able to use the biometrics (fingerprints/iris details) for authentications “thus preventing potential misuse”, according to the UIDAI website. 11. 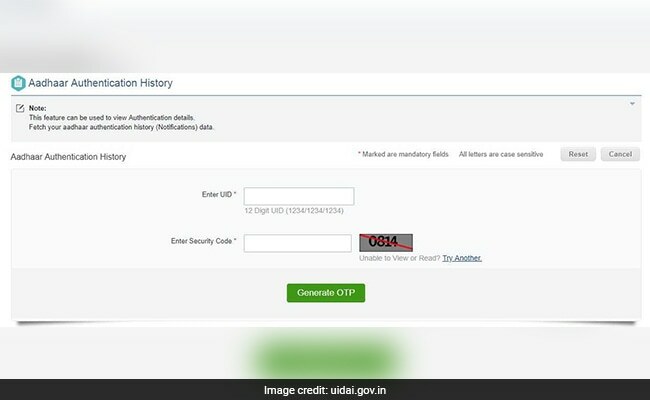 The UIDAI portal can also be used to access Aadhaar authentication history. That means you can find information on how many times has Aadhaar authentication been taken up against your UID. The user can match the details accessed by this online tool with the details available with him or her to detect any misuse. 12. The UIDAI portal also enables users to check the status of linkage between the Aadhaar number and bank account. This facility can be accessed by clicking on the ‘Check Aadhaar & Bank Account Linking Status’ link on the UIDAI homepage. The status of Aadhaar linking is fetched from the NPCI server, according to the UIDAI website. “Under any circumstance, UIDAI shall not be responsible or liable for the correctness of the displayed status. Further, UIDAI is not storing any information fetched from NPCI server,” the UIDAI mentions on its portal. Besides, the UIDAI portal can also be used to access information on validity of downloaded Aadhaar (e-Aadhaar) as proof of identity, charges for various services provided at Aadhaar centres – also known as Aadhaar Kendras – and a full list of supporting documents, among other details.